As a classic watch, 40mm size can completely show your wearing attitude, without fancy and complicated functions, it could also attract people’s enviable glance. 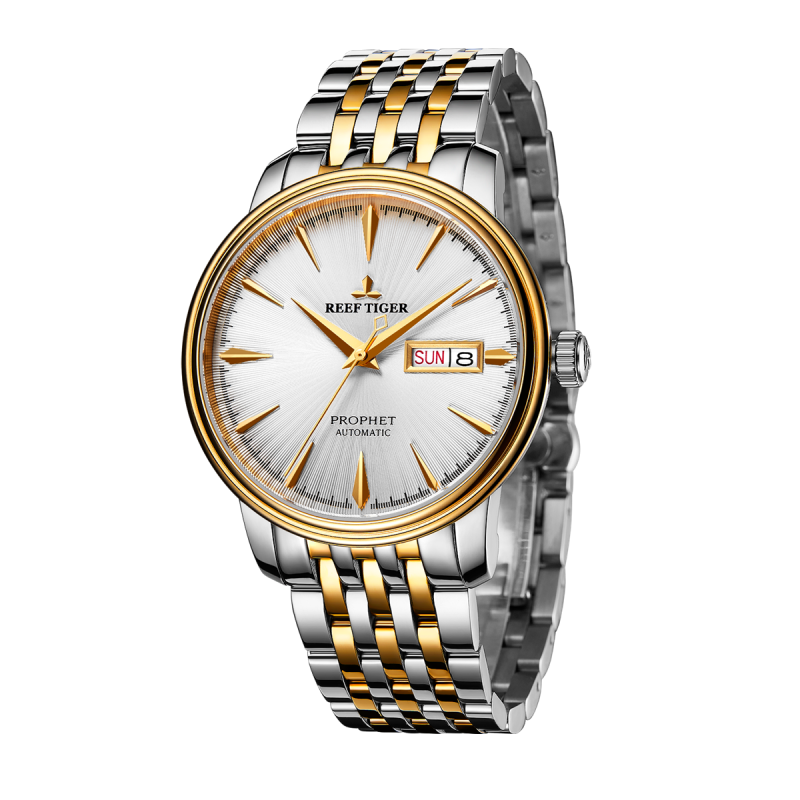 The bezel of Classic Prophet uses double arched design, which is narrow processed, this could make the case lines more gentle, so the watch will still looks perfect even on a thin wrist. 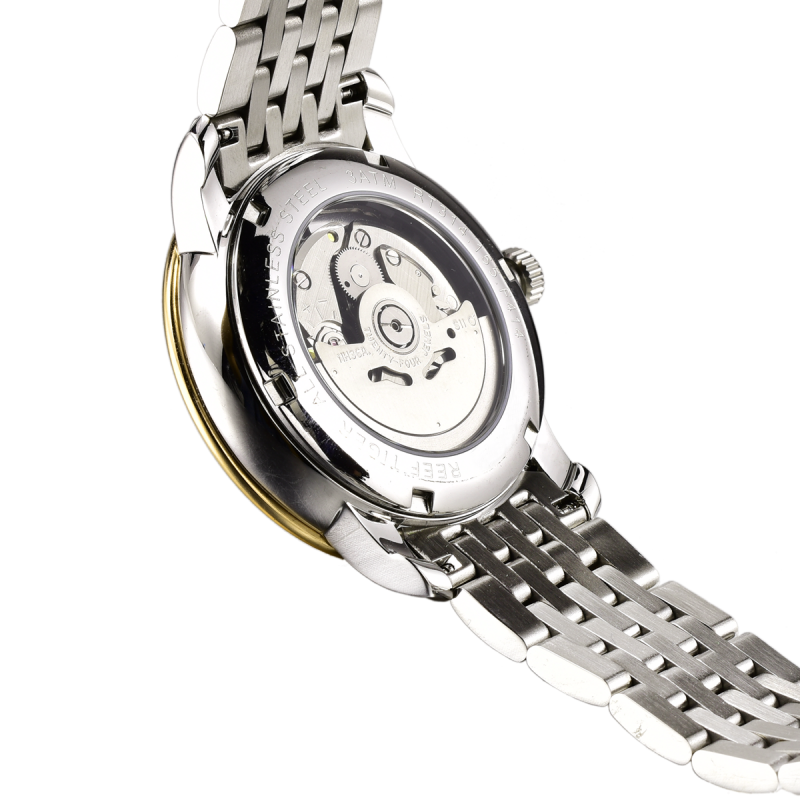 The watch is available in a case crafted from stainless steel. The case carries a yellow gold bezel. The dial, created in white, it is completed with Roman markers and yellow gold hands. The display is controlled by an Reef Tiger RT4101 Automatic Movement. Keeping the watch secured to the wearer's wrist is Two Tone Bracelet with Deployment Buckle.Waterproof to 50 meters. Reef Tiger Classic Prophet Watch. 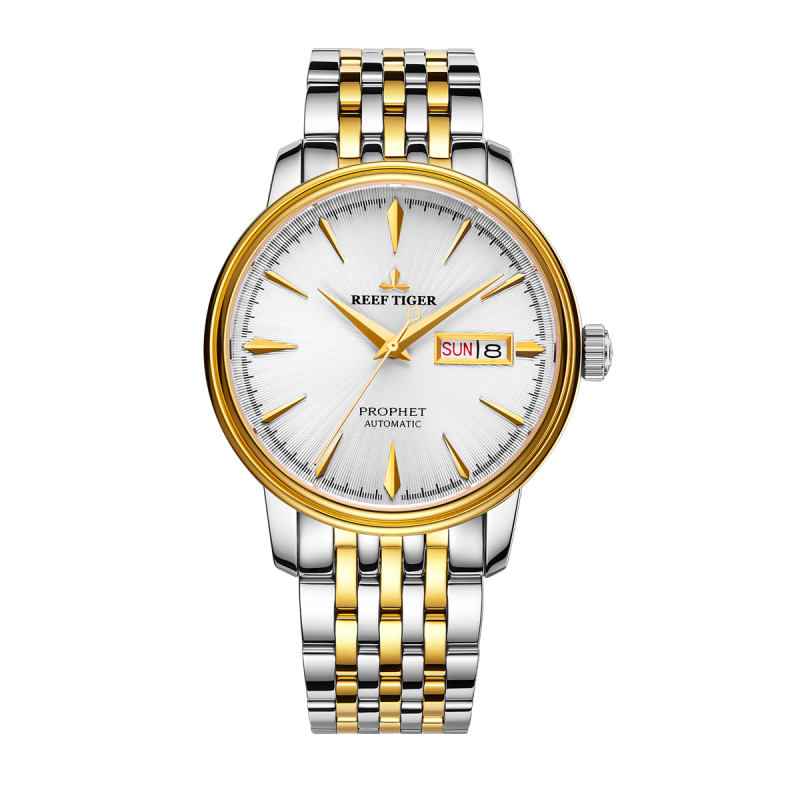 The durable, stainless steel, yellow gold bezel also fitted with create professional looking proposals and presentations. Durable poly front and back covers with coordinated. White dial with Roman markers. Hours, minutes, seconds and date display. 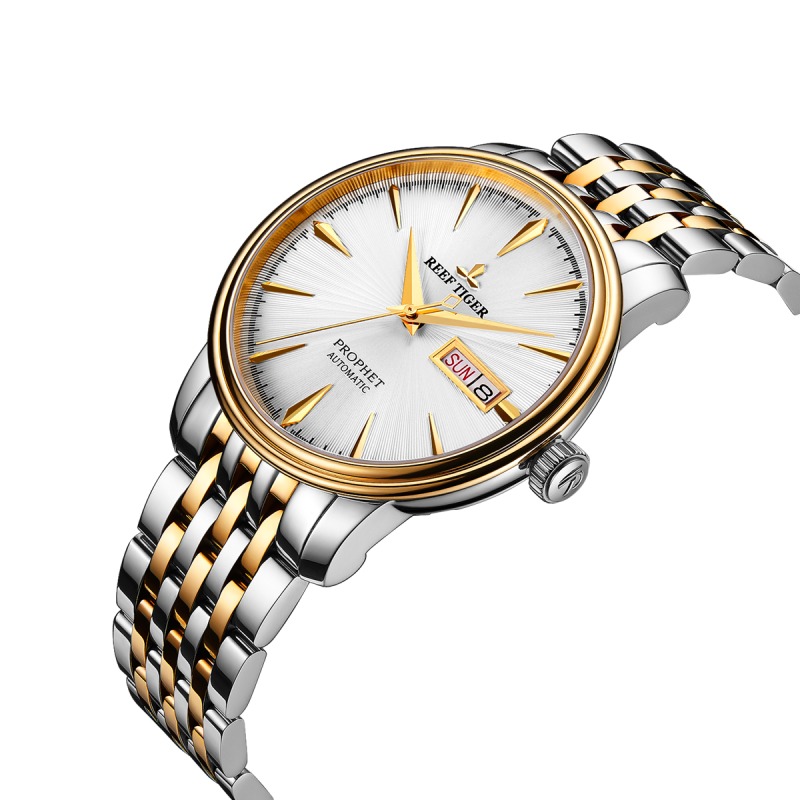 This Luxury watch has its logo on the dial at 6 o'clock. Our range of straps are designed to fit all Linde Werdelin watches, so you can change the looks with different straps to suit different occasions as you please. 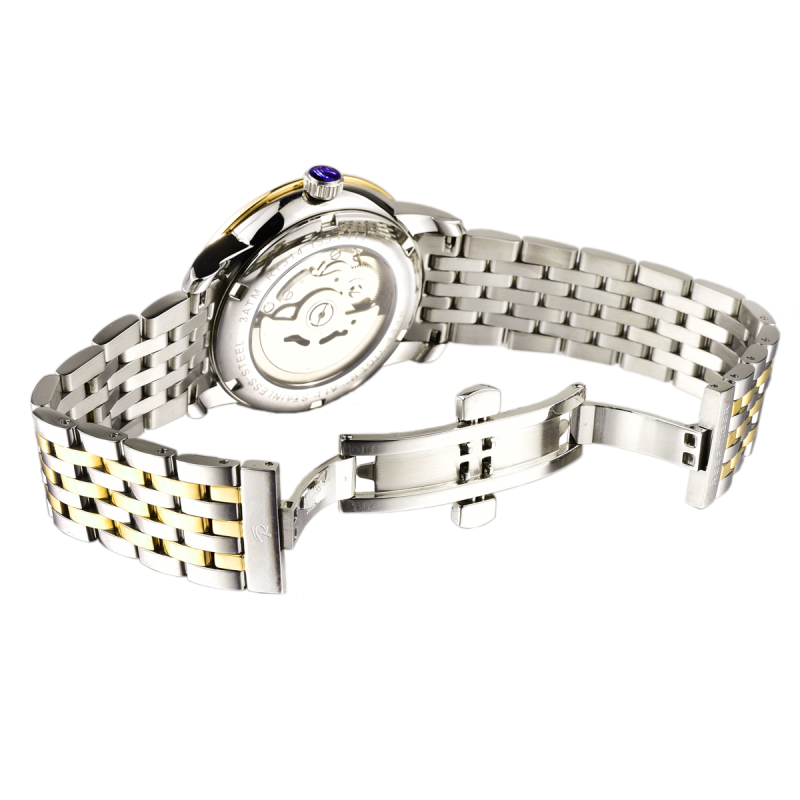 The streamlined interlinking of the strap fits perfectly into the watch case and is finished with unique hexagonal decorative screws.